Series questions are usually presented as a line of 5 symbols. Working left to right, then right to left scan the symbols to observe similarities and differences between them. You need to look at the elements of the symbols in relation to outlines, shading, line thickness, orientation (i.e. which direction the symbol is ‘pointing’), size, and position in relation to other parts of the main symbol. The number of each of these elements is important too. In fact, you need to observe all the usual NVR suspects! What observations do we notice about these usual suspects in example 1? All 5 clue symbols have a solid external black line – as do all answers. 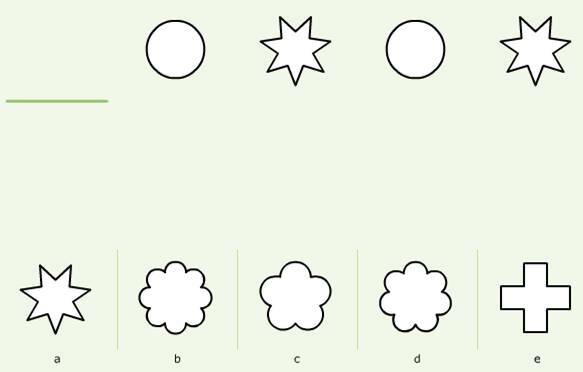 All 5 clue symbols have a white fill – as do all answers. Reading from right to left the symbol pattern goes star – circle – star - circle. What logical steps can we make when we apply these observations to find the missing shape? Following observation 3, answer symbol a is the missing shape. More than one element of the symbols can alter as in this next example. What observations do we notice about these usual suspects in this example? The tiles have a grey shaded rectangle that moves around in an anti clockwise direction. The tiles have a smaller white squares in that remain in place but decrease in number. 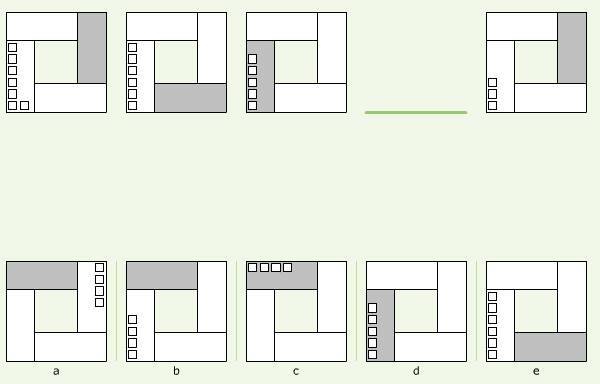 What logical steps can we make when we apply these observations to the task of finding the missing one in the series? Following observation 2 we are looking for 4 smaller white squares in the same position as the rest of the clue symbols.